Valentine’s Day might not be the coolest of holidays. In fact, it’s probably closer to being the Nickelback of holidays: very few people dare to confess in public that they like it, but that hasn’t stopped it from remaining a worldwide phenomenon. Still, here at Foreach, we like Valentine’s Day. Not so much to celebrate our significant others (we love and cherish them the whole year round), but to celebrate our colleagues and professional partners (whom, to be clear, we also love and cherish the whole year round). 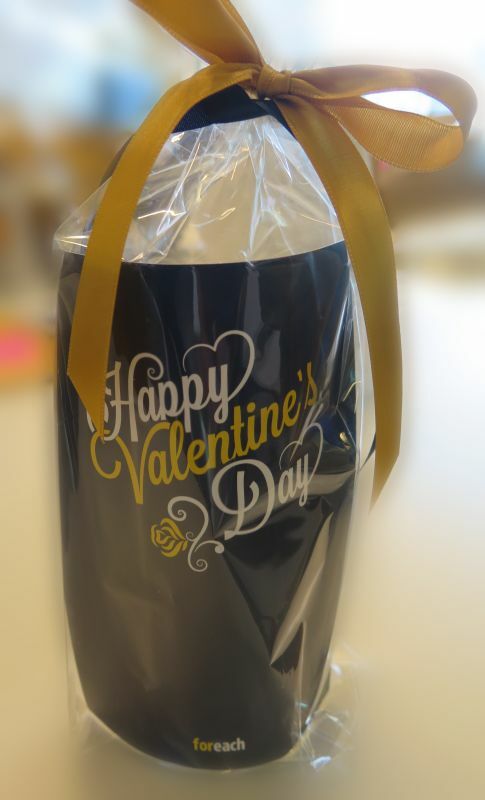 The first Foreach Valentine’s gifts started out as a way to cover up that we forgot to send out our New Year’s wishes on time, but it turned out to be a very much appreciated surprise. The fact that whatever we send is always accompanied by Godiva chocolate probably doesn’t hurt. This year, those chocolates come in a nice Foreach glass with a personlized card. A delightful present on any day of the year, surely. However, there are reasons why Valentine’s Day is such a good fit for our yearly appreciation moment. First, there’s the time of year: February is the worst month, plain and simple. The sheen of the holidays has worn off; what was cold and magical in December has become cold and miserable; and it feels like ages before the weather will improve again. A little pick me up in the form of warm words and sweet chocolate can go a long way in those dark days. Second, there’s barely any competition. I mean, who sends Valentine’s Day cards to their customers? That’s just plain weird. So if you do get one, it always stands out. Third, and perhaps most important, we really like our customers. That sounds like something an uninspired marketeer might come up with, but Foreach is built around long term, equal partnerships that thrive on trust, mutual respect, and, yes, passion. So, like in a romantic relationship, a small token of affection, sent only to show appreciation, can go a long way. And if none of those reasons do it for you, just remember that when you get down to it, free chocolate has never needed a reason before. Five days of unchecked Java goodness? Of course Foreach couldn’t be absent!